What's on your wish list for Halloween? 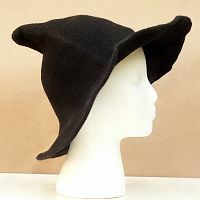 Maybe a new witch's hat? These knitted witch hats are the perfect combination of cute, comfy, and cool. 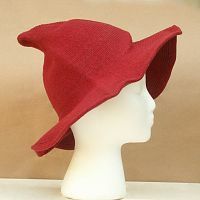 They're the perfect accessory whether riding your broomstick, handing out candy, or dancing in the moonlight. 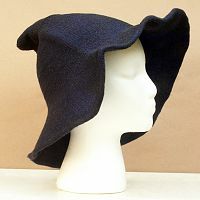 Soft and form-fitting, they still hold their shape well, from the wide brim to the tip-top peak.